James Julien DDS, the premier family dentist in Kenai, AK, is proud to offer gentle, stress-free dental care in a safe and relaxing environment. Whether you need dental implants, teeth whitening, veneers, or other types of dental services, you can count on Dr. Julien to help you achieve a healthy and attractive smile. When you or your children need dental care, from a simple checkup to more extensive service, Dr. James Julien DDS should be your first call. The team of experts has vast experience and expertise in teeth cleaning, dental crowns, and emergency surgery. They are committed to providing the best, most comfortable customer care, and are able to turn a stressful situation into a calming, affirmative experience, even for patients who dislike visits to the dentist. If you are unhappy with your smile, Dr. Julien&apos;s team can help you feel confident again through the application of dental crowns, implants, bridges, or dentures for cosmetic or restorative purposes. They make use of the latest advances in techniques and technology to provide quick, painless results, whether it&apos;s fixing a single crooked incisor, bridging several missing teeth, or repairing your bite with Invisalign braces. 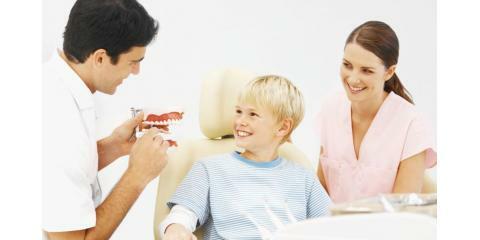 No longer does dental care require invasive procedures and multiple visits. With James Julien DDS, the most trusted dentist in Kenai, AK, you’ll get the finest, most sympathetic care and the highest-quality treatment in a relaxing environment. Visit the practice&apos;s website to learn more about how they can improve your smile, or call (907) 283-4857 to make an appointment with the expert family dentist.